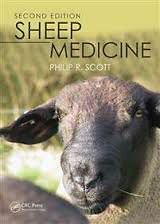 Sheep Medicine, Second Edition describes key sheep diseases encountered in general practice along with their diagnoses, treatment, prognoses, control, and, where appropriate, post-mortem features. The book is divided into chapters covering each body system. Each chapter of this completely revised and updated book opens with a recommended approach to clinical examination of the featured body system, rather than simply providing a listing of disorders and diseases. The book also guides readers through all stages of the disease process highlighting the critical clinical features important in the diagnosis. Ancillary tests available to veterinary practitioners are detailed, emphasising their practical applications and cost limitations. Several self-assessment exercises featuring typical clinical cases affecting each body system are collected in a revision chapter at the end of the book. Diseases and disorders are included with the common differential diagnoses followed by the specific diagnosis and recommended treatment(s). The book is invaluable to veterinarians in practice and training, animal scientists and agricultural advisors, and scientists interested in animal welfare.